Designed to cover large entrance areas. Can be used in recessed wells or with bevel edging, sold separately. 2m width, supplied in whole linear metres lengths. A choice of 5 practical colours. Business' with large entrance areas are more than likely going to have a high amount of foot traffic travelling through; this can cause issues such as dirt and moisture which can cause slip hazards. Our ribbed contract matting is ideal for covering large entrance areas and will help to reduce moisture and dirt being brought in by footwear. These mats can be used in recessed wells or can be used with bevelled edging which is sold separately. The ribbed edges give effective dirt scraping action, and the matting is backed with layers of latex and gel foam to provide underfoot comfort. 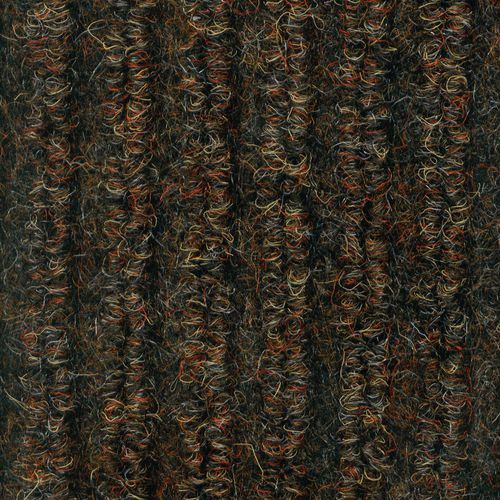 This stylish matting is available in a range of five colours; black, blue, dark brown, grey or sand. Our affordable ribbed contract matting is an effective way to keep your floors clean and free from moisture and dirt which is often brought in on footwear; they are available with FREE UK Delivery.